More than 6,000 babies were stillborn in Northern Ireland between 1974 and 2009. The staggering total death toll is increasing as up to 120 babies here continue to lose their lives to stillbirth every year – the equivalent to two babies dying every week. 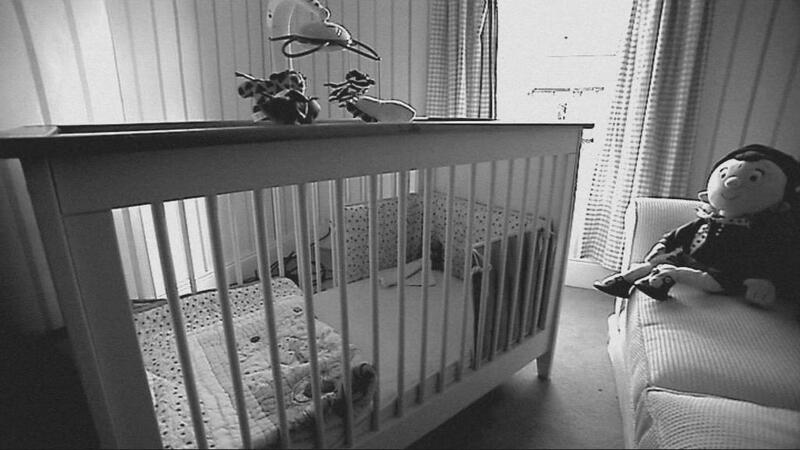 The Detail has investigated how stillbirths are dealt with and investigated here. We have spoken to bereaved families, the Department of Health, the Coroner’s Service and medical experts and have also examined the latest statistics and reports on the issue. Last week, a Northern Ireland woman whose baby was stillborn called for routine testing to detect the presence of the Strep B bacteria. It also emerged that the South Eastern Health Trust had apologised to another Ulster mum – Anne-Marie Smyth from Downpatrick – whose baby was stillborn last October. Staff had not discussed inducing her and did not complete a birthing plan. And today we report on the long legal battle by one Co Derry mum – who recently agreed an out of court settlement with the Western Health Trust 10 years after her son was stillborn at Altnagelvin Hospital. However, despite some high profile cases, there still remains an almost silent acceptance among many that stillbirths are “just one of those things” and a sad reality of life. Heartbroken parents are often encouraged to quickly grieve and move on. Post-mortem examinations are not always carried out and coroners are not permitted to investigate stillbirths. This situation has left many devastated families confused and unsure about the cause of death. The Department of Health (DHSSPSNI) said that 90% of parents here are offered a post-mortem examination following stillbirth and around 60% of them take up this offer. Some stillbirths will always be unexplained – no matter what investigation takes place – but in other cases it is possible to learn from the tragic loss of life and this opportunity should not be missed. Last year, three local baby charities – Bliss, SANDS and Tiny Life – came together to call on the Northern Ireland Executive to prioritise stillbirths and babies dying shortly after birth as a major public health issue. A year and two months since this launch, the DHSSPSNI has confirmed it is still considering many of the report’s recommendations. Risk factors for stillbirth include obesity, smoking, being an older mum and alcohol consumption. Placental problems account for a third of cases and many stillbirths are associated with poor growth of the baby but another third of stillbirth deaths have no obvious cause. A leading stillbirth expert based at Cambridge University told The Detail that it is realistic to expect that a stillbirth screening programme for mothers-to-be could be developed within five to 10 years and that this could save thousands of babies’ lives every year by identifying mothers at risk. In the last 10 years there has only been a very small decline in stillbirth rates across the UK. This lies in stark contrast to the massive reduction in cot deaths where the causes of babies’ deaths were investigated and this information then used to inform parents and ultimately save many lives. Here in Northern Ireland, the Department of Health doesn’t appear overly concerned about the number of stillbirth deaths. In a detailed response to a series of questions from The Detail, a spokeswoman said that it wanted to reassure women in Northern Ireland that “stillbirth rates are similar across the UK and in line with many other developed countries”. She added that each health trust has stillbirth rates “within the statistically expected range” and that the Public Health Agency is continuing to collect data relating to stillbirths to ensure trends are understood and that any lessons are learnt for future practice. Health trusts also investigate stillbirths as part of “ongoing clinical governance”. But The Detail has found Northern Ireland’s official figures confusing. They simply don’t add up. The number of stillbirths recorded by the Northern Ireland Statistics and Research Agency (NISRA) do not match the figures provided by the national Confidential Enquiry into Maternal and Child Health (CEMACH). For example, in 2004 NISRA states there were 118 stillbirths here, compared with 113 recorded by CEMACH. And in 2003, CEMACH said there were 111 stillbirths in Northern Ireland, compared with 108 recorded by NISRA. It’s hard to understand how we can begin to address this important issue when we don’t know how many babies are dying. And is it possible that unnatural deaths are being missed? The department claims that the statistical discrepancy can be explained. CEMACH records all stillbirths that have died within a year – whereas NISRA records all stillbirths registered in a year. Officially, stillbirth is the loss of a baby before birth, with death occurring in the womb or during labour, on or after the 24th week of pregnancy. However, the department also said that some mothers may want to register their child’s death as a stillbirth – even if the death took place before 24 weeks. Before 1992, NISRA only recorded stillbirths which took place after 28 weeks. See the file attached below this article for the full NISRA figures. The DHSSPSNI then goes on to muddy the waters further by providing its own figures – which are different again from the other two sets we already had. These “departmental return” statistics show that 650 babies were stillborn in Northern Ireland in the six years from 2005 to 2010. What isn’t clear is what checks are done to ensure that every single baby’s death from stillbirth here is accounted for. The Centre for Maternal and Child Enquiries (CMACE) is an independent charity which carries out national confidential enquiries into maternal and child health. Among its recent reports is one which examined perinatal deaths (stillbirths and deaths within seven days of birth) and maternal deaths in Northern Ireland in 2009. 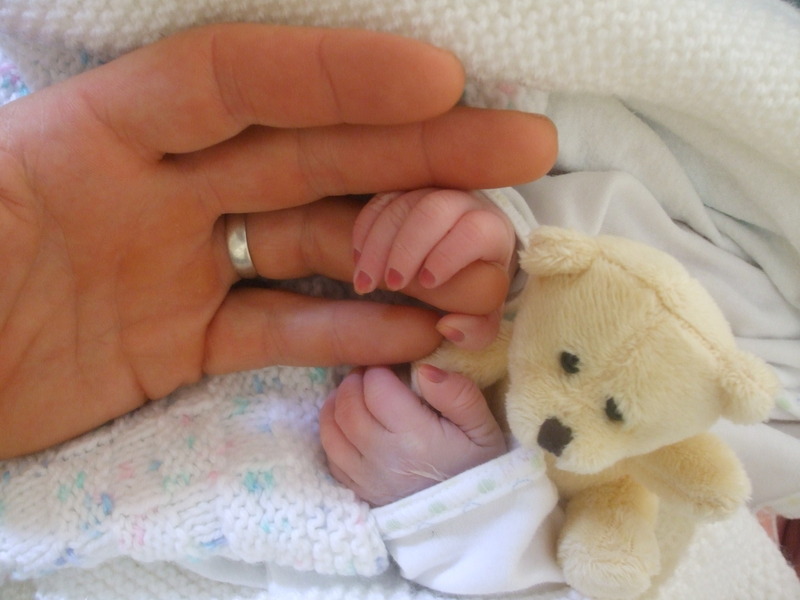 It states that there were 117 stillbirths here in 2009 and 80 early neonatal deaths – our stillbirth rate was higher than the overall stillbirth rate for Wales, Northern Ireland and England combined. Just 16 of the stillbirths had major congenital anomaly as the primary cause of death. This was the case for 34 of the early neonatal deaths. Post-mortems were carried out for just 55% of the stillbirths. Earlier this year, leading medical journal The Lancet published extensive research and an analysis of stillbirths across the world occurring at or after 28 weeks (to allow comparison between countries with different definitions). Written by a group of 69 authors from more than 50 organisations and 18 countries, the articles showed how stillbirths have been neglected by the global public health community. They found that the UK has one of the worst stillbirth records when compared to similar high income nations. While countries such as Norway, Australia and the Netherlands have seen significant reductions in their stillbirth rates over the last 10 years, in the UK stillbirths are at the same levels of a decade ago. So stillbirth rates being similar right across the UK is nothing for Northern Ireland to be proud of. The series’ authors say there is a widespread belief that stillbirth represents a natural selection of babies never meant to live but they argue that the silence surrounding the issue hides the problem. They call on the international community to collate and disseminate accurate stillbirth rates and data on cause of death. In an interview with The Detail, Professor Gordon Smith, head of Cambridge University’s department of Obstetrics and Gynaecology and chair of the Royal College of Obstetricians and Gynaecologists, said: “Stillbirths are not just one of those things. A lot of them could be prevented. “Every woman that has a stillbirth should be offered a post-mortem and this should be carried out in a thorough way but the problem is that we do not understand why a lot of them are happening. There is a knowledge gap. “We need to understand better what leads to complications which can result in stillbirths. “There was research carried out on routinely scanning women but this did not appear to change the number of deaths from stillbirth. “There is now an incredibly sophisticated screening programme for Down’s Syndrome which is able to pick up 90% of cases of Down’s. However, the only option this gives women is whether or not to terminate their pregnancy." Professor Smith said he hoped a screening test would be developed which could identify a lot of the women who are going to have a problem which could lead to a stillbirth. He continued: “Stillbirths are three or four times more common than Down’s Syndrome in pregnancy and ten times more common than cot deaths. If we were able to develop a screening programme for stillbirth, this would save many lives. “I think within five to 10 years it is realistic that we will move towards screening women for stillbirths and hopefully then intervening early. However, the research has to be done well to show screening would be clinically effective. Where we are with pregnancy complications is where we were with heart disease 10 years ago. “The overall figure is about one in 200 babies are lost to stillbirth in the UK with a third occurring at 37 weeks into pregnancy or beyond. Those are the ones that seem preventable. Inquests only take place in Northern Ireland if there is debate over whether or not the baby was born alive. So this avenue is normally blocked for parents looking for answers about the loss of their child in the womb or during labour. We submitted a series of questions to the Coroners’ Service in Northern Ireland which included asking how many coroners’ post-mortem examinations had been carried out on stillborn babies in the last five years and how many inquests there were for stillborn babies during the same period. A spokeswoman said that the service does not hold statistics on the number of stillbirths “because only a very small number are reported”. We asked if the Coroner’s Service thought there was sufficient investigation into the causes of stillbirths and if it was concerned about the discrepancy in the figures for Northern Ireland. The spokeswoman stressed that a coroner has jurisdiction in relation to the death of a baby only where it can be shown that there has been life independently of the mother. If there is doubt over whether a death was a stillbirth, she said that the death should be reported to the coroner who “may” order a post-mortem examination. The spokeswoman added: “The coroner will also consider the evidence of those present at the birth. In many cases, a post-mortem examination is not essential and the coroner may feel able to reach a conclusion based solely on the evidence of those present at the birth. Steven Guy became involved with the Stillbirth and Neonatal Death Society (SANDS) 18 years ago after the death of his daughter Danielle. He is now the charity’s Northern Ireland co-ordinator. Danielle’s death was caused by a placental abruption which means the placenta separated from her mother’s womb before she was born. 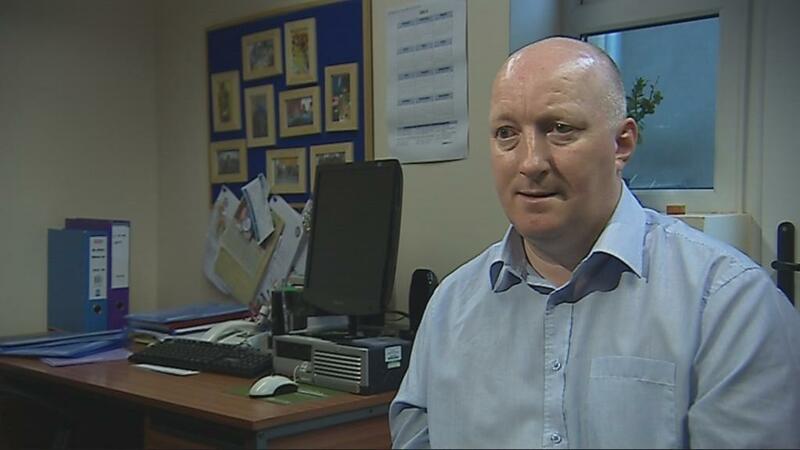 In an interview with The Detail, Steven called for stillbirths to be treated as a priority issue by the Northern Ireland Assembly. “Around three months after Danielle died we went to a SANDS support group in Belfast. They allowed me to talk, they allowed me to cry and we have been involved with it ever since. However, this is still a taboo subject for many people. Post-mortem examinations don’t always provide answers for parents. Steven said: “A lot of parents consent to post-mortems in the hope that they will be given a reason for their child’s death but quite a few come back inconclusive. “They can rule out it wasn’t a genetic problem, for example, or some other underlying problem but they may not be able to give a cause of death. “The problem we have with post-mortems in Northern Ireland is there are only two paediatric pathologists. SANDS would like to see a third just to tackle the sheer volume of work that they have to do. In 2009, SANDS launched its ‘Why 17?’ campaign – the ‘17’ relates to the number of babies who are stillborn or die shortly after birth across the UK every day. The campaign calls on the government to create a national strategy to reduce the number of babies dying and to generate vital funds for research. Steven said: “We are not just a charity that supports families in the aftermath of a stillbirth. One of our core aims is to promote and fund research and where possible to bring down the number of deaths each year. “We would like to be a charity that doesn’t have anything to do because the stillbirth numbers are so small. That’s what we’re continually working for. In our third article we have published the Department of Health’s response to our questions in full. •	The SANDS NI helpline can be contacted on 0774 0993450.